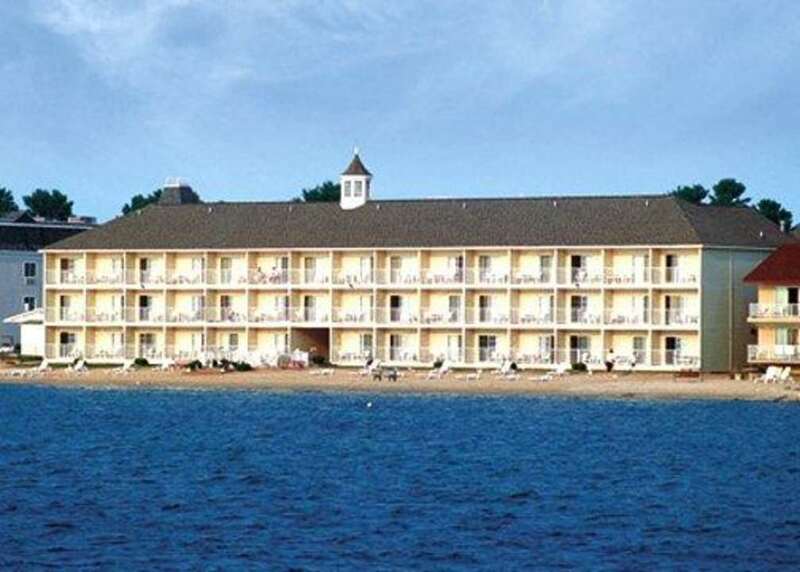 The Comfort Inn Lakeside hotel in Mackinaw City, MI hotel will get you rested and ready to take on the day. Enjoy our private, sandy beach alongside Lake Huron with a sundeck and beach furniture. Our smoke-free hotel is near Mackinac Bridge, Mackinac Island and Maritime Museum. Enjoy amenities that include free hot breakfast, free WiFi, free weekday newspaper, free beach access, an indoor heated pool and a hot tub, newsstand, guest laundry facility and fax services. Each comfortable guest room features a coffee maker, refrigerator and TV. Select rooms offer a private balcony overlooking the lake. Also, earn rewards including free nights and gift cards with our Choice Privileges Rewards program.